D.C. ranks in the top 20 for food truck activity in the U.S., but it's also one of the hardest places for a food truck owner to get up and running and keep a business going, the U.S. Chamber of Commerce Foundation said. 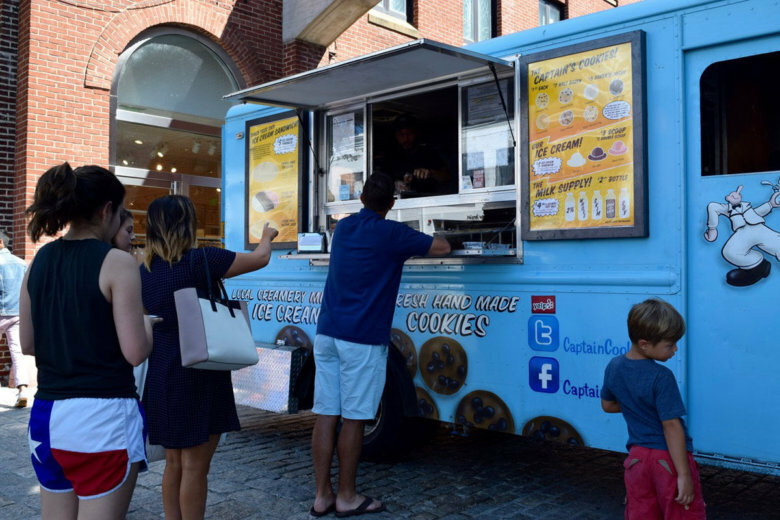 WASHINGTON — D.C. ranks in the top 20 for food truck activity in the U.S., but it’s also one of the hardest places for a food truck owner to get up and running and keep a business going, the U.S. Chamber of Commerce Foundation said. In what the Chamber Foundation calls the most comprehensive study ever conducted on the industry in the U.S., the 12-month study, called Food Truck Nation, calls the District the second-most challenging city in the country for food trucks, behind only Boston, largely because of layers upon layers of regulations. “Starting a food truck in the nation’s capital can be a tall order — vendors must complete at least 23 specific interactions with regulators, pay high start-up fees and overcome a significant number of ongoing, city-imposed hurdles in their quest to turn a profit,” said Lawrence Bowdish, director of research and food security for the U.S. Chamber of Commerce Foundation. “While Washington, D.C., has made some significant progress in easing the regulatory burdens placed on food trucks across the city, there is still a great deal of work to be done,” he said. A vendor badge requirement for each worker, with associated fees and processes. Food truck survey respondents in D.C. rated government and zoning poorly across the board. The question of where vendors can operate was a regular sticking point, with operators saying there aren’t enough public vending spots in the city’s monthly lottery. Others complained of not being allowed to operate near the National Mall on weekends, where the area is crowded with tourists. The Chamber Foundation’s report said food trucks are active in more than 300 cities in the U.S. Food truck revenue has increased by 300 percent in the past three years, to $2.7 billion last year. Its report ranks the five most food-truck friendly cities as Portland, Oregon; Denver; Orlando; Philadelphia; and Indianapolis.